As a screening machine manufacturer, S&F GmbH boasts many years of experience in sorting and screening technology. S&F screening machines and screening systems are in use worldwide for numerous different process engineering tasks. We offer appropriate screening machines and solutions for various applications. Our oscillating screens offer high screening capacity for a wide range of applications in the wood-processing industry. The ASM series of screening machines is best suited for wet and dry screening. The AVS series of vibrating screens represent an efficient and cost-effective solution in the field of protective screening and are primarily suited for granular raw materials. 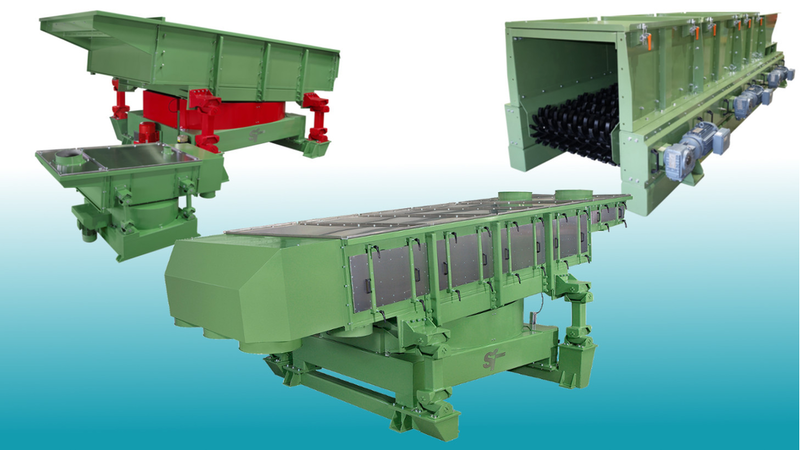 Star screens and disc screens impress with a high material throughput and are suitable for the pre-screening of oversized into disintegrated waste wood. Our screening technology can be used in different sectors and for many applications. S&F screening systems offer straightforward handling, reliability and low maintenance. Our specialised service personnel and our spare parts service from stock ensure a long and low-maintenance service life for your screening plant.